You’ve Got a Ticket to Ride when we pay tribute to one of the most successful musical teams in history, John Lennon and Paul McCartney. The dynamic duo composed nearly 200 songs, and five of the area’s busiest singers will focus on the partnership’s biggest hits. Ryan’s credits include WAITING…A SONG CYCLE (Off-Broadway), THE WIZARD OF OZ (Scarecrow), HAIR (Woof), and INTO THE WOODS–all at Skylight Music Theater, where he’ll soon appear in MY FAIR LADY. Also: PINKALICIOUS and GOODNIGHT MOON (Northbrook Theater for Young Audiences), BIG and RUDOLPH (First Stage Children’s Theater), PACKER FANS FROM OUTER SPACE (Vogel Hall), and ASSASSINS (Windfall Theater). 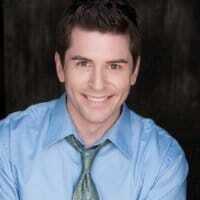 Ryan performed his one-man show, CAPPS OFF TO HOLLYWOOD, as part of Sunset’s SideNotes Cabaret Series. 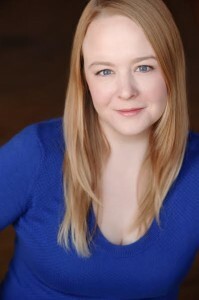 Alison’s credits include HAIR (Sheila), SUNDAY IN THE PARK WITH GEORGE (Dot), AVENUE Q (Mrs. T/Bad Idea Bear), JACQUES BREL, LES MISERABLES, and RENT for Skylight Music Theatre, as well as two turns in Skylight’s Cabaret series. Also: Chamber Theatre (JEEVES INTERVENES), First Stage Children’s Theatre (PETER PAN, CHARLOTTE’S WEB, THE CAT IN THE HAT), Milwaukee Shakespeare (THE WINTER’S TALE, MACBETH, HENRY IV.I), In Tandem Theatre, Optimist Theatre, Bunny Gumbo, Milwaukee Opera Theatre, Minnesota Centennial Showboat, and Minneapolis Musical Theatre. A longtime Beatles fan, Carrie makes her Musical MainStage debut with this production. At Sunset, she’s been seen in RED, HOT, AND COLE and MURDER ON THE NILE. Carrie has also appeared with Greendale Community Theatre, Waukesha Civic Theatre, Soulstice Theatre, Theatre on Main, and Theatre Unchained. Last year Tommy created the role of Tank Turrette in DEE SNIDER’S ROCK & ROLL CHRISTMAS TALE, part of the Broadway in Chicago series. 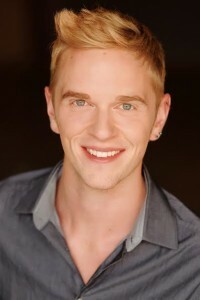 Locally, Tommy has enjoyed performing with the Milwaukee Repertory Theatre and Skylight Music Theatre, where his credits include LES MISERABLES (Enjolras), RENT (Roger), and THE MUSIC MAN (Ewart), and he just completed a run as Eddie in PUMP BOYS AND DINETTES for the Fireside Dinner Theatre. Regional credits include Marriott’s Lincolnshire Theatre, Northlight Theatre, and Madison Opera. Rising Star MALLOREY WALLACE, a sophomore at Arrowhead High School, has an extensive list of performing credits. Locally, she’s been seen as Scout in TO KILL A MOCKINGBIRD for the Milwaukee Repertory Theater, Annie in ANNIE at the Fireside Dinner Theater, and Pinkalicious Pinkerton in PINKALICIOUS at First Stage Children’s Theatre. 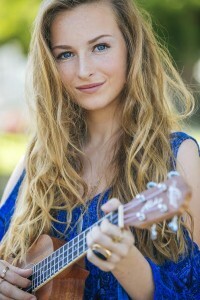 For the last two years, Mallorey lived in Los Angeles pursing her acting, singing, and songwriting dreams. The band will feature Mark Mrozek on keyboard, percussionist Tim Karth, guitarist Tom Koehn, and a little bass action from Mr. Hahn. Narrators Susan Loveridge and Bob Hirschi will provide a dash of color commentary to capture the essence of this remarkable partnership.